The UK’s decision to leave the EU caught a large majority of businesses offside. Whilst uncertainty abounds, there are ways for businesses to navigate the current landscape by focussing on the things they can control, writes Aidan Gough from InterTradeIreland. The InterTradeIreland All-Island Quarterly Business Monitor (July-September 2016) revealed that 97 per cent of businesses across the island have no plans in place to deal with a UK exit from the EU. The survey also showed that 91 per cent of cross-border traders have no experience dealing with tariffs and 80 per cent of businesses still say that TV news is their only source of information about Brexit. For those involved in cross-border trade and export activity specifically, currency exchange rates between sterling and the Euro is now the biggest issue they face with 45 per cent reporting it as a key issue. Against an economic backdrop that is slowing there is clearly a role for InterTradeIreland to help businesses, primarily those small businesses that are and have the potential to trade across the border, to deal with clear information gaps that are perhaps hindering their development planning. Focus on developing close value-adding partnership relationships with customers or suppliers that can endure potentially destabilising changes in pricing relationships. Possessing a clear and concise plan for your business that identifies clear objectives, critical processes, threats and opportunities is a vital step to navigating uncertainty. Clearly this plan should be reviewed and adjusted on a regular basis. Innovation should play a key part in your business plans. Uniqueness in a product or service offering comes with a premium that can offset disadvantageous cost movement. A currency hedging plan reduces a business’s risk of losing out when the value of the market currency selling in declines relative to the company’s core operating currency. As such, hedging is a risk management strategy that protects rather than creates profits. Advice on hedging can be provided by most banks or specialised currency brokers. Free events for SMEs to help them prepare for new trading relationships that emerge from Brexit negotiations. The events focus on business planning, currency hedging and showcase the supports available. These vouchers offer SMEs £1,000 worth of financial support towards professional advice in areas such as sales and marketing, tariffs, currency management, regulation, tendering, finance, taxation, and employment law. Practical guide on everything you need to know about expanding your business into a new cross-border territory. Build an export business without ever leaving the island – cross-border funding and supports available up to £15,000. 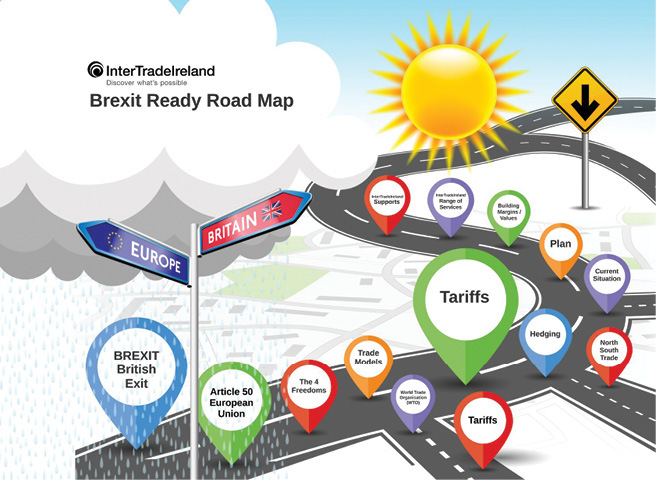 Factsheet for businesses outlining InterTradeIreland’s five key Brexit supports and includes some practical advice. 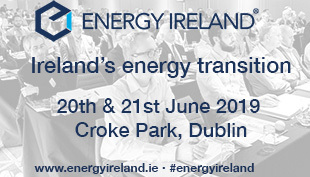 InterTradeIreland is supporting businesses to navigate the uncertain landscape and realise their growth ambitions as the terms and conditions of the UK’s new relationship with Europe – and more specifically that between Northern Ireland and Ireland – emerges. Most importantly, we encourage businesses to continue pursuing an export growth strategy. Businesses that export, including those that trade across the border, are three times more likely to be growing.